Perhaps the biggest physical challenge about my rehabilitation after fracturing my olecranon has been getting back into swimming. Initially, pool physiotherapy is useful. But during the early stages of recovery, what I was actually doing was little more than using the water to support my arm, whilst walking around the pool trying to move my shoulder and elbow correctly. To use the word swimming would be far too generous a phrasing. 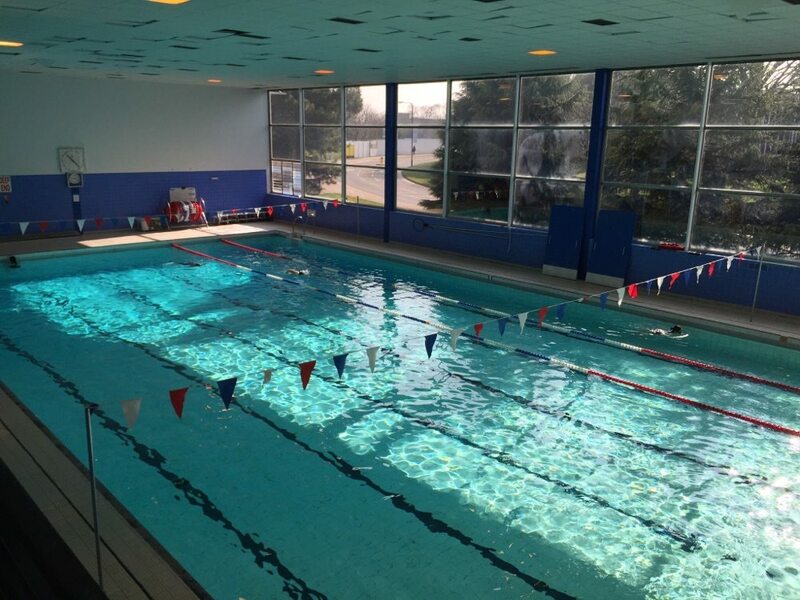 Finally getting back into the pool a month ago, it was clear that whilst my strength in both flexing and extending had improved considerably, there was still too much pain to be able to swim over 300m. I really found this surprising, and disappointing, as apart from the slight loss of extension, I really thought that the arm had improved dramatically! 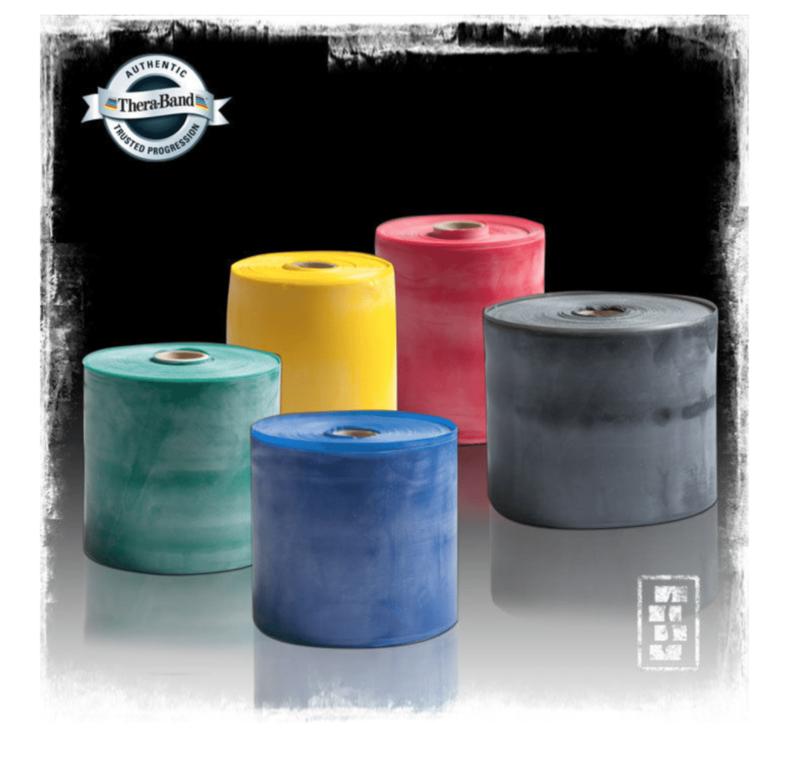 But as long as I don’t push too much, that discomfort and resistance given by the Theraband promotes healing of the fracture. As does any reasonable activity using a fractured limb, as forces passing through a fracture actually help to stimulate healing/ossification. This is the main reason behind the physiotherapy advice, “Working to get a little discomfort/pain, about 5/10 is good and promotes healing. Pushing too much/hard risks excessive movement and damage to the healing bone” All of rehab is about balance. Similarly, being sore for ~ 24hrs after a session is fine. Being sore for >72hrs might mean you’ve pushed too much, and might need to get someone to look at the injury, just to check its ok. 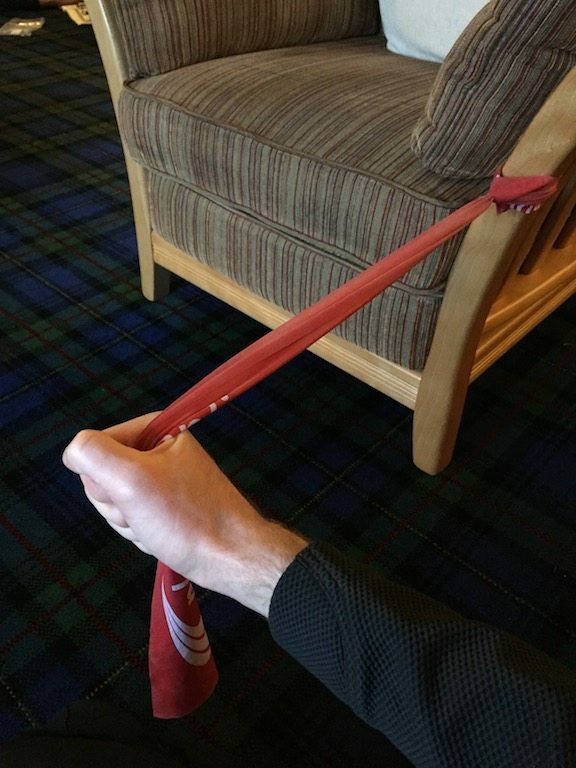 Normally with a Theraband you tie it one end in a knot and shut a door with the knot on the other side and use that. Personally that didn’t work for me – possibly as there is ALWAYS, WITHOUT FAIL someone walking through a door in our house…So I tied it to a chair arm instead! Two months after my last pool session I decided to head back to the university pool to test out the damaged arm once more. I was confident that I would be able to hit my goal of 800m, however I was very conscious that I would need to stop if there was any significant discomfort in the inside of the elbow. I decided to test out the Garmin Virb Elite at the same time as doing the pool swim, thinking that filming my swim would give me an idea as to how my swimming technique had been affected (lots!). Thankfully, and to more than a little surprise to myself, I was able to do the full 800m without anything other than a slight twinge to the arm, which became apparent on the final length. The actual swim was a major confidence boost, in that I had proof my rehabilitation strategy was starting to pay off. The swim, and more importantly the arm, was not completely trouble free however. 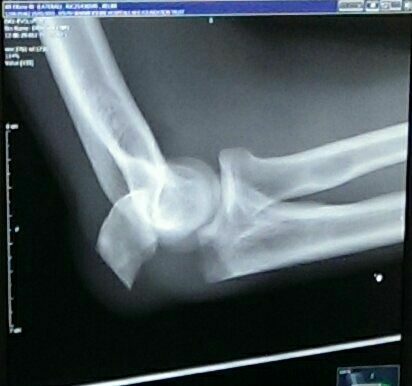 Throughout the whole swim, I was acutely aware that I wasn’t able to straighten my arm fully, or properly as I had been able to before the operation. This lead to me placing my RIGHT hand, when leading into the water, across my head, slightly affecting the direction of my swim. It certainly impacted on my ability to “pull” with that arm, which was frustrating. During the swim I did a mixture of breaststroke, crawl and backstroke. 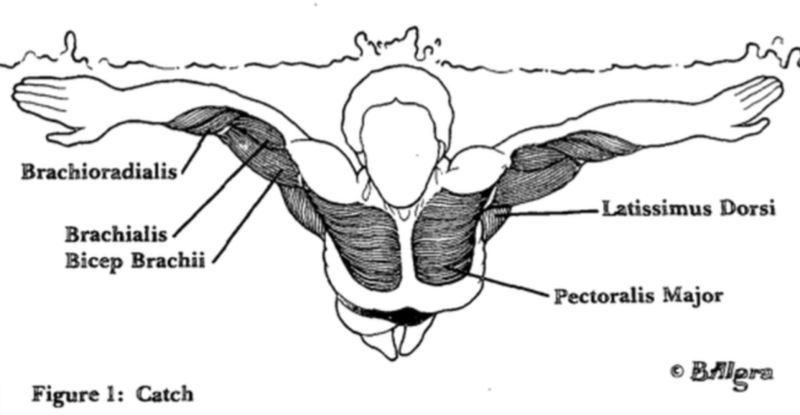 The intention here being to work on the affected arm, but also to work generally on swimming after the fractured elbow, as I am very aware of the general change to the musculature on the RIGHT side of my chest and back. 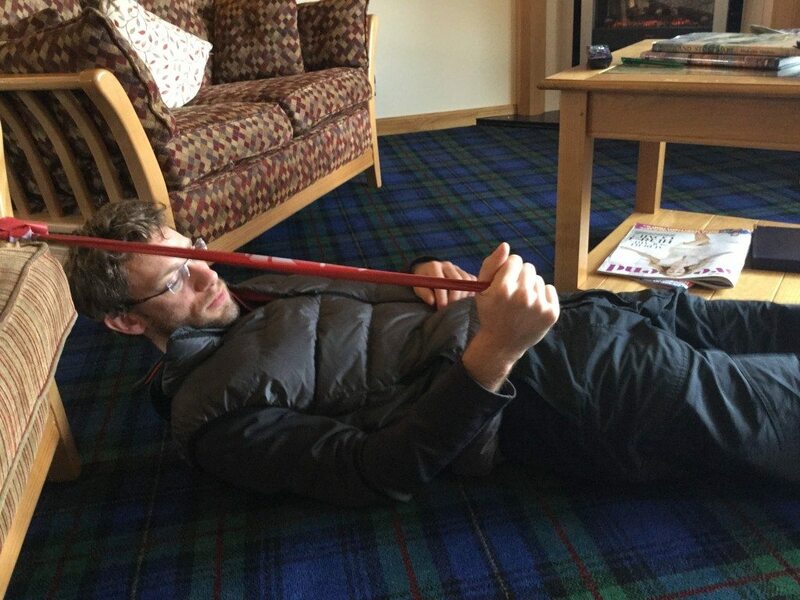 Concentrating on the form of my stroke allowed me to try and work the muscles on the RIGHT side that have been neglected over the last few months. The upshot of this was to identify that I had misstepped with regard to my physiotherapy changes. Probably for the last month, I had eased off my physiotherapy stretches to work instead on rebuilding strength. This video clearly shows that I need to continue with my stretches at least until the metal work is removed. A decision that will be made next week at the next consultant review.